This is the third and final book in the Honeybee Sister’s Series, and the book wraps up beautifully. We learn some of the reasons why Rose is so shy and the hurts she holds herself responsible for. We have already read Lily’s and Poppy’s story of their romances, and hope that Rose will finally have a chance to let go of the pain that she holds in her heart. Aunt Bitsy is still keeping a strong hold on her girls, and some of those boys whom you are not to feed, get the stink eye from her! While the family is still being terrorized by someone, we hope that the culprit will finally be found out before someone is hurt, who would do all of these horrible things to them, and why? I really hate to let these people go, and yet it seem great to finally find out the answers, don’t let this great read pass you by. Also be ready for some great laugh out loud chuckles. I received this book through Zebra Publishing and was not required to give a positive review. 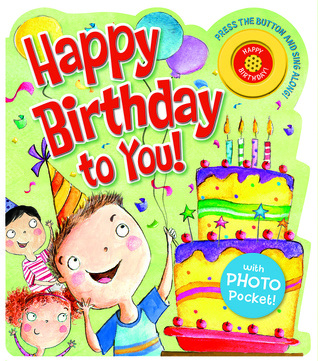 A fun-filled musical book that celebrates the joy of a child's birthday This musical board book includes all the ingredients that make a birthday special for a child: balloons and presents, cake and candles, and, of course, the birthday song! Follow along throughout a day of celebration, concluding with a good-night prayer, then push the button to hear the melody of Happy Birthday. The book features a photo pocket on the last page to allow for personalization. 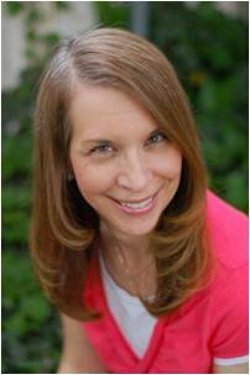 Michelle Medlock Adams is an award-winning journalist and best-selling author, earning top honors from the Associated Press, the Society of Professional Journalists and the Hoosier State Press Association. 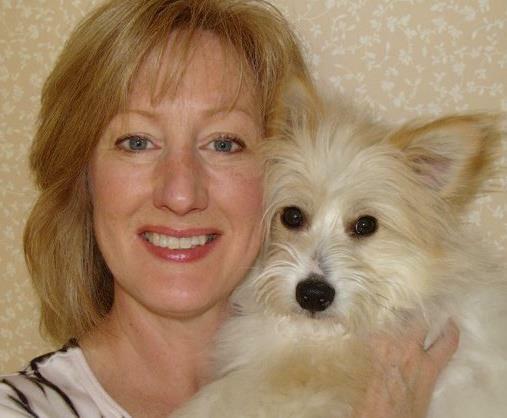 Author of over 70 books and a regular blogger for Guideposts, Michelle has written more than 1,000 articles for newspapers and magazines since graduating with a journalism degree from Indiana University. Mexican artist living in London with my lovely husband , our fantastic 8 year old manager and the most awesome pet rats Snow and Sky … heyyy don’t say EW,…thats rude! I started drawing when I was about 11 I actually wanted to write a diary but I was afraid someone could read it , so drawing was like my secret diary! Sandra Rodriguez grew up in Mexico in a house with a big garden. From doodling her way through math class to playing with her dogs, her creative spirit was evident. Rodriguez's illustrations are inspired by simple, everyday life: children playin in the park, people waling their dogs, families interacting after school. Rodriguez favors watercolor because it allows her to transmit the movement and emotion of life into her illustration. 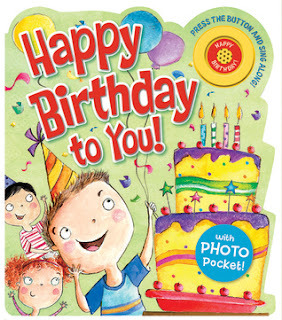 What a perfect gift for that special birthday child, whether boy or girl, this sturdy book is sure to hit the spot, and you will not be able to wait to give this delightful gift. I can picture the little ones face as the bright colors draw their attention, and while grasping the thick cardboard book, just right for their hands, the book sings Happy Birthday to them. There is even a place in the back for you to place a picture of your favorite star of the day. I can see this becoming the favorite gift of the day, it is so personal and loving, and other elements for making a special day perfect for them. I received this book through Worthy Kids/Ideals and was not required to give a positive review. Dana Mentink lives in California, where the weather is golden and the cheese is divine. 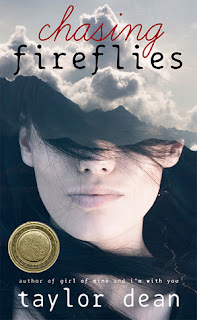 Dana is an American Christian Fiction Writers Book of the Year finalist for romantic suspense and an award winner in the Pacific Northwest Writers Literary Contest. Her suspense novel, Betrayal in the Badlands, earned a Romantic Times Reviewer's Choice Award. Besides writing, she busies herself teaching third and fourth grade. Mostly, she loves to be home with her husband, two daughters, a dog with social anxiety problems, a chubby box turtle, and a feisty parakeet. Stephanie Pink feels her whole life and career depends on her scoring the new novel of a reclusive writer. Her hopes and dreams depend on this, and she is willing to do most anything to achieve her dream, and that of her deceased brother. When the author demands she find her lost dog Sweetness, Stephanie is hot on the dogs trail, and ends up in a campground where she meets another soul trying to find himself, Rhett Hastings. She soon has Rhett helping in the hysterical capture of Sweetness, and soon has two candidates, which one. 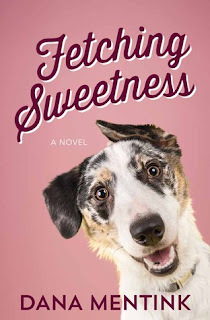 This story sure has its escapades to try and get Sweetness to her owner, and in the end they end up with more than they started with. This is also about people who feel God has let them down, and this journey may just be the one that God has orchestrated to bring Him back into their lives. We have a lot of compassion and unknowns here, along with a bit of unforeseen romance, a love of animals, sweet and really wild, and traveling along the Western US coast. I received this book through Litfuse, and was not required to give a positive review. When a teen girl discovers her brother has been shot, she learns about firsthand about loyalty. Should her brother be more loyal to her or the gang members he's so eager to impress? "Family, community, faith, and love. These "quilt blocks" sewn together made Ariana's beautiful life. When they are pulled to pieces, will anything familiar remain? 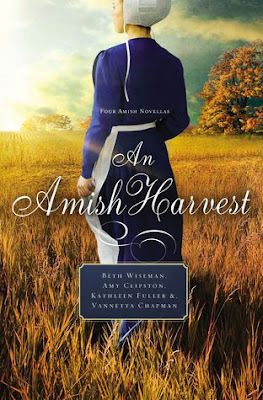 The Old Order Amish life Ariana Brenneman loved vanished virtually overnight with the discovery that she was switched at birth twenty years ago. Now she's immersed in the Englischer world, getting to know her mother, and under the authority of her biological father, an atheist intellectual with resolute plans to expand Ariana's worldview. Only Quill Schlabach, a childhood friend living Englisch, can help steady Ariana's tilting ground between the two worlds, but can she trust him after so many betrayals? At the same time, Skylar Nash is forced to choose rehab or spend several months with her true relatives, the large Brenneman family and their seemingly backward life--no electricity, no technology, no fun. What the young woman can't leave behind is her addiction to illegal prescription drugs and deep emptiness from the belief that she doesn't belong in either family. New ties are binding Ariana and Skylar to the lives they were meant to have. Can they pray for the wisdom and strength they'll need to follow God's threads into unexpected futures? 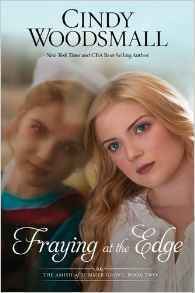 Fraying at the Edge is the second novel in The Amish of Summer Grove series"
Cindy Woodsmall is a New York Times best-selling author who has written a dozen (and counting!) works of fiction and one of nonfiction. She and her dearest Old Order Amish friend, Miriam Flaud, coauthored the nonfiction, Plain Wisdom: An Invitation into an Amish Home and the Hearts of Two Women. 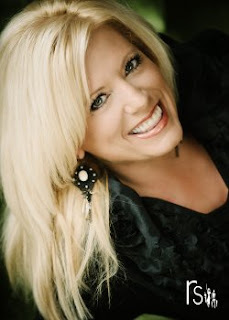 Cindy’s been featured on ABC Nightline and the front page of the Wall Street Journal, and has worked with National Geographic on a documentary concerning Amish life. 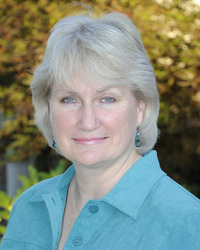 In June of 2013, the Wall Street Journal listed Cindy as the second most popular author of Amish fiction, following Beverly Lewis. 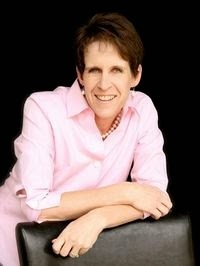 Cindy Woodsmall is a New York Times, CBA, ECPA, and USA Today best-selling author who has written a dozen (and counting!) works of fiction and one of nonfiction. She and her dearest Old Order Amish friend, Miriam Flaud, coauthored the nonfiction, Plain Wisdom: An Invitation into an Amish Home and the Hearts of Two Women. Cindy has been featured on ABC Nightline and on the front page of the Wall Street Journal,and has worked with National Geographic on a documentary concerning Amish life. In June of 2013, the Wall Street Journal listed Cindy as the second most popular author of Amish fiction, following Beverly Lewis. If you read the first book Ties That Bind, and I hope you do, you don’t want to miss it, and then you are up to date as to what has happened in the past. If not the author will bring you up to date very quickly, and you will soon be absorbed in this story about two babies that are switched at birth, one Amish and one belonging to the world. We are at the doors when the girls arrived at the homes of their birth parents, and both are in for rude awakenings, they must feel like there are in bad dreams they can’t awaken from. Each must spend a year away for all they know, and will they be the same person at the end? Trying to put myself as the parent of one of these girls, one I would know intimately from day one, and raised through school, skinned knees and everyday life, and the other is really mine, how could you choose, I would want them both. A really interesting a great read, and in the end I still don’t know all that is going to happen, and can’t wait to find out. Don’t miss this one, you won’t be disappointed, it is going to keep you thinking until you know all the answers. A story that spans decades but becomes so intertwined you won’t see it coming, and it circles around a Wedding Shop. While the modern want to be owner, Haley Morgan, has had a vision for this abandoned shop since she was ten years old, the former owner, Cora Scott, was the recipient of the shop from her Aunt Jane. There are parallel love affairs, and you never see the comparisons of these lives, and then they drop a real bombshell on you and it will blow you away. We work through the deep depression and the crash of 1929, and then in the modern time, greed and blackmail. We also meet back up with Charlotte and the rather magic dress, and again how much these women have in common. A really great hard to put down read, and I really didn’t want it to end, I wanted some more answers. Naomi Dienner is a recently widowed young mother; she is dealing with the fact that she is not really sad that her abusive husband is gone. She has also recently discovered she is pregnant, and is afraid she might have a miscarriage, so she spends quite a bit of money on a powwow, I interpreted it as witchcraft, but it is in the Amish community. She has a harvest to get in and her father has hired a friend of his, and English man Brock Mulligan to help. He is a widower and went through so much pain in loosing his spouse; he has no interest in becoming involved again. This is a very fast read but you are going to love his reaction to the children, and what they say about him. Janie Lantz is innocently eating her lunch when she witnesses an accident with a car hitting one of the buggies that belong to her boss. She then meets the driver of the buggy, an Amish man Jonathan Stoltfuz, who is just visiting the area and staying with his grandparents. 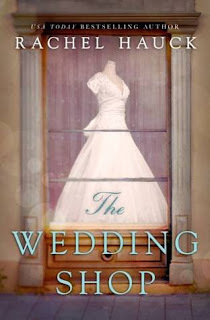 Janie tells her family about the accident, and her farther forbids her to tell anyone about what she saw, he doesn’t want her involved, but when Janie gets to know Jonathan and is interested in him, what will happen. We also wonder what is going to happen when he leaves. A Quiet Love is a very sweet story about Dinah Hochstetler, a very shy, quiet, lover of poetry, young woman whose family has sent her to visit her Aunt. Now Dinah loves her Aunt, but she doesn’t like leaving her family, she is a stutter. When she arrives at her recently married Aunt’s house she meets a handsome, special, young man, Amos Mullett, he is a farmer, and knows he is different, but would love to have a family of his own. This is a story of when a parent needs to let go, but also be there with a helping hand. When our special children grow up and want to spread their wings, can or are we able to let them go? Martha Beiler has left her home and gone to live with her Aunt, but boy I wondered why she made the move. She is also working with Eli Wittmer, who is not thrilled when the bishop asked him to help and give Martha a job. When an elderly couple send some of their last possessions to auction, a mystery is created when they pieces go for a lot more money than expected. Will Amos and Dinah find answers to their questions, and go on with their lives, or will there be a spark that will make then move forward? Adoption. It's something that touches one in three people today, a word that will conjure different emotions in those people touched by it. A word that might represent the greatest hope…the greatest question…the greatest sacrifice. But most of all, it's a word that represents God's immense love for his people. 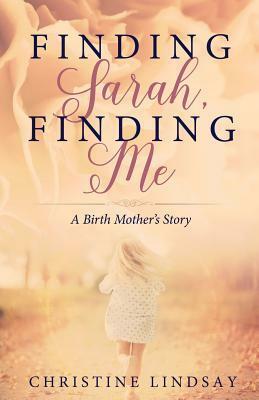 The Author bares her soul in this book that should be a must read for adopter and birth moms and adoptees. We read about Christine’s first meeting with her darling daughter that she has not seen since she was three days old and is now twenty. The story of Christine and her family is like ripping a Band-Aid off, and not knowing your doing it. Through all of the struggles the anchor is God. Christine’s story is featured throughout the book along with other stories of adopters, adoptees and almost. There is so much heartache, dread and all out love here, and we walk in the author’s shoes. Would I have had the courage to do what she did? In this day so many babies are kept, unheard of when I was growing up, and yet wouldn’t you want to keep you own baby? This story touches me on a very personal level, I saw the baby my sister gave up, and he brought joy into our lives when God opened doors to let us meet him. There was all class reunion that year in our small town, and my Florida, Indiana and Illinois siblings were all home, my sister the Mother the one from Illinois, this is the last time we were all here. Anyway, God pulled strings and my new nephew was traveling this way to go to Canada; he stopped and we met this blessed man. The Author has arranged for all proceeds of this book to be donated to the Woman and Children’s Initiative with Gain, Sarah and Mark work for them, yes a Blessing. Did you think the book of Psalms was only for adults? Think again! 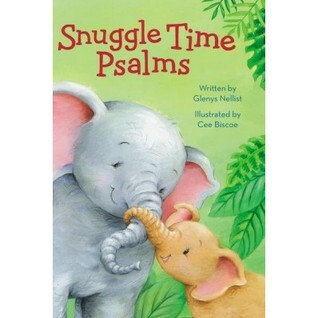 Snuggle Time Psalms, written by Glenys Nellist and illustrated by Cee Biscoe, is the perfect way to introduce little ones to the poetry book of the Bible. This padded cover board book uses simple concepts, rhyming text and adorable art to help children engage with the Psalms. Beginning with 'Bedtime Peace' and ending with 'Wonderful Me!' this collection of fifteen bedtime poems enables young children to discover the One who holds them in his arms, leads them like a shepherd, created them just as they are, and cherishes them with a love that never ends...snuggle and see! And to God alone, be the glory. I’m very lucky to have been illustrating picture books full-time since early 2008. My first picture book, commissioned by Little Tiger Press, was ‘Gruff The Grump’, written by Steve Smallman, which was published in 2009 in the UK, US and 9 other countries. It was one of the 'Reads Of The Year' in the Younger Children category of the Red House Children's Book Awards 2010. Since then I've illustrated several picture boks and board books for a variety of publishers. 2016 has started well as I continue to work on a four-book contract with a US publisher. Having recently completed commissions for Korean, Slovenian, American and Australian publishers, it's great to carry on illustrating for different international clients. Snuggle Time Psalms almost brought tears to my eyes, it is so sweet and lovely, and the perfect sharing gift for that special toddler in your life. There are fifteen bedtime prayers that will bring the psalms into your little ones life, and allow you the joy to share them. Sharing the word of God with your Child is a blessing in itself, and with your arm around your love one, pure joy. The book has a darling mother and baby elephant on the padded cover, and the rest of the book is made of sturdy cardboard, just right for little hands. I received this book from Book Look Bloggers, and was not required to give a positive review. Anne Vittur Kennedy started out as a music teacher in public schools, but shifted to illustration in 1982. 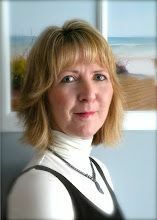 She has illustrated many children’s books, including the Miss Fox series by Eileen Spinelli and the Pony Scouts series by Catherine Hapka. Anne Vittur Kennedy lives near Columbus, Ohio. 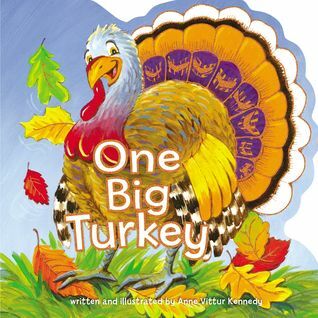 I just received the perfect fall book for my little one, brightly colored cover shows a big tom turkey, and lovely fall leaves. The book is made of study cardboard, and just the right size for small hands. Besides cute pictures with rhyming words, the little ones will be learning to count to ten without realizing it. When you read this one to your child you both will be giggling at the cute pictures that go along with the story. What a delightful little book to share with that special toddler in your life, and a great introduction to fall and Thanksgiving. I received this book though BookLook Bloggers and was not required to give a positive review. 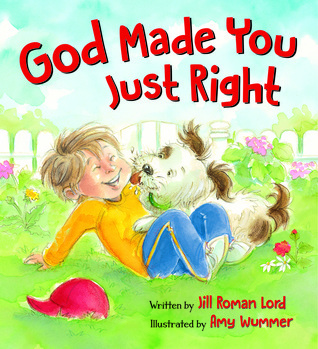 Here is a message that every parent will want to share with his or her child: “You’re brilliantly created and there’s no one else like you!” With easy-to-understand descriptions and simple, rhyming text, Jill Roman Lord shares the message that God created each of us in just the right way in a manner that even the youngest child will understand. Bright and engaging illustrations from Amy Wummer pair perfectly with the text and enhance the appeal of the book. After winning her first writing contest in first grade with an essay called “Patrol Boys are my Friends," Jill couldn’t keep herself from writing. As she grew, she soon found that with every boy she liked, every new friendship formed, every break of her heart, she wrote a poem and forever stashed it away in her file called “Stuff I Wrote”. Eventually she tried to write “stuff” for publication. In fact, she received her first request from a publisher for a completed manuscript when she was 9 months pregnant with her third child. Jill literally finished tweaking the manuscript between contractions in the hospital! It paid off with the acceptance of the manuscript, publication of her first book, and a bouncing baby boy! With those words and eventually the nudge from a "squirrel" she became a committed writer and loves it despite the rejections. Her eleventh book, The First Easter, will be released in the spring of 2013 by Candy Cane Press. 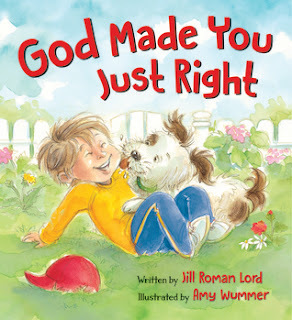 Also watch for a Thanksgiving Book coming out in 2013, as well! Check out her book page for other books she’s written. She lives in Charlotte, NC with her husband, three children and Golden Retriever. She enjoys running, hiking, golfing and cheering for her children in their sports and activities. 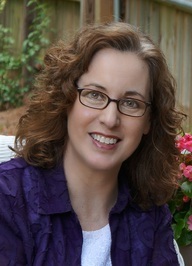 AMY WUMMER is an award-winning children’s book illustrator of over fifty titles. She received the Highlights for Children Cover of the Year award in 1998 and 2007, the 2006 Paterson Prize for Books for Young People, Highlights for Children Illustrator of the Month award in October 2003 and November 2007, and was a 2002 Gold Medallion Book Award finalist. This book is just the right size for toddler’s hands and made of sturdy cardboard, no pages will get ripped while they carry it to you to snuggle and read for them. Love the bright colors, and all the boys and girls doing different activities that you and your little one can talk about! There is sweet rhyming text to keep their attention, with a great lesson that God made each of us the right way, he knew what he was doing. A great book for that little one in your life, you will not be disappointed. Taylor Dean lives in Texas and is the mother of four grown children. 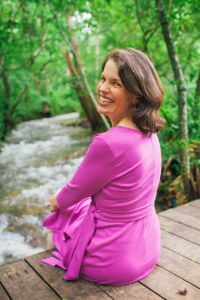 Upon finding herself with an empty nest, she began to write the stories that were always wandering around in her head, quickly finding she had a passion for writing, specifically romance. Whether it's paranormal, contemporary, or suspense--you'll find all sub-genres of clean romance in her line-up. For more information about Taylor's books, please go to www.taylordeanbooks.com. Carrying a secret of her own, Ella arrives back in Wise, West Virgina, to help her aunt Sadie care for Perla. Both know the woman wanted to tell them something, but she's now locked in silence. Together they begin looking into the past, but they may learn more than they expected. This is the story of Ella, a young gifted woman, who receives devastating news that her beloved Perla, her Grandmother, has had a stroke. Also heading home is Aunt Sadie, she is now berating herself for not letting her mother tell her whom her biological father was. The story flashes back to when Perla was a young foolish girl and how she ends up finding happiness. We also learn of Ella’s relationship with Mark, and that made me worry that maybe he was a stalker? While home in her beloved home and church Ella goes about taking care of her Grandmother, and doing her beautiful art quilts, which ties in beautifully with her hometown. 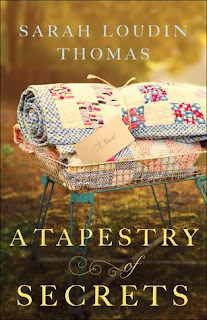 It also puts her in worlds of the past and present using clothing of the past in her quilts. 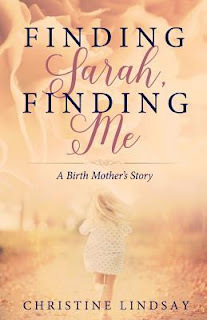 There is something her for everyone, and we wonder if Sadie is ever going to be able to find answers, she sure spends a lot of time looking for them, and in the end meeting new family. We also have a few love interests for Ella, even Mark, Richard, the Pastor, and Seth her brother’s friend. 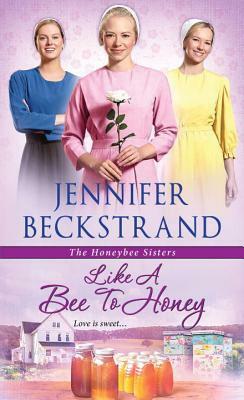 I received this book through Bethany House Publishing and was not required to give a positive review.